Mumbai, April 11: In a bizarre incident, a 32-year-old female Human Resources (HR) executive, who went missing from Mumbai on Tuesday, was located at Madgaon railway station in Goa the next day. The HR executive, identified as Supriya Chavan, had reportedly gone missing after she got into a Western Railway (WR) local train on Tuesday morning to reach her workplace in Prabhadevi. Reports inform that she usually boards the 7.13 am Churchgate-bound local from Borivli. The incident took place on Tuesday, when she followed the same travel routine but did not reach office. 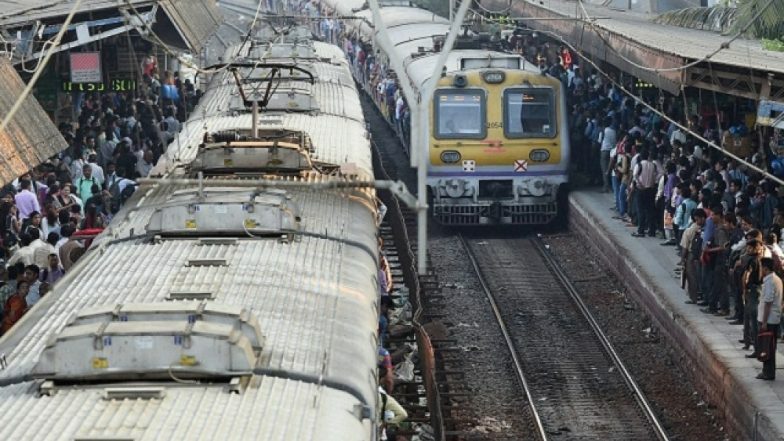 Terror Attack Warning in Maharashtra, Gujarat and Madhya Pradesh: Western Railway Beefs Up Security, Sounds Alert at All Its Stations. According to a report by TOI, when Supriya called her family on Wednesday, she said that she doesn't remember anything and had no clue how she landed in Goa. The woman, who works at a Prabhadevi firm, lives in Dahisar with her husband Ramchandra. The incident came to light after Supriya's colleagues contacted her family about her absence. They tried to call her but her phone was switched off. Soon after, her family members lodged a missing complaint with Dahisar police and checked the CCTV footage at Borivli station. Moreover, her family had also put out an announcement on the smartphone application, M-Indicator. The TOI report states that on Wednesday, Supriya called up her husband and told him that she was at Madgaon and could not recollect how she had got there. Soon after, her husband booked a flight ticket and rushed to Goa. The report quotes Anup, Supriya's brother-in-law saying that the Railway Protection Force (RPF) at Madgaon spotted her and came to her aid. The report states that while her handset was with her, her sim card was missing. Reports inform that around Rs 2,000 was missing from her belongings while the family also informed that Rs 10,000 had been withdrawn from Surpiya’s bank account on the same morning when she went missing. Around Rs 8,000 in cash was found on her. Relatives said some of her valuables were also missing.